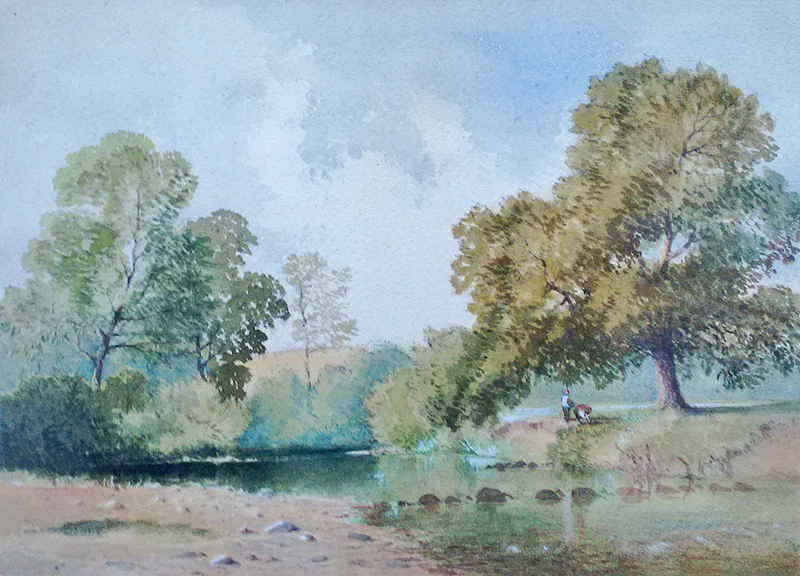 Description: Watercolour with figures on the river bank near Cofflete on the River Yealm South Devon. Near Brixton and Yealmpton. Image size: 245 x 340mm, 9.75 x 13.5 "